Algae is a common concern for any pool owner, though many people don’t know much about what it is or why it’s important to prevent it. 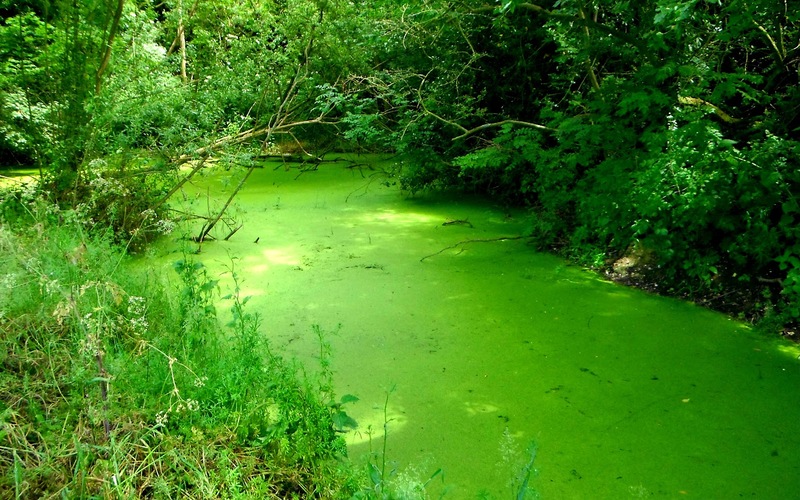 Algae (ăl`jē) is a commonly used term used to describe many different types of aquatic plant-like living organisms that produce oxygen through photosynthesis. The most common type of algae found in pools is “green algae”. Green algae can actually come in varying colors of dark green, yellow-green, or blue-green, and will commonly be found floating in the water or clinging to the walls of your pool. “Black algae” is commonly found in the cracks and crevices of concrete or plaster pools. “Mustard algae” is a type of chlorine resistant green algae, that will often have a brownish color, appearing similar to sand. Most types of algae can survive in very diverse environments. They can be found in both fresh and salt water, and are tolerant of temperatures in a wide range. Most types of algae are classified as phototrophs – this means they use the energy from light sources as fuel, though some types require other nutrients as well. Algae has a number of methods to reproduce, including cell division, asexual reproduction, and sexual reproduction. All of this combines to mean they are very resilient, and the problem can quickly escalate if not attended to. While not necessarily harmful to swimmers on it’s own, algae is certainly a concern in your pool. For starters, it’s just not pleasant – no one wants to get into a slimy, unhealthy looking pool. The water may begin to have a foul odor, and become cloudy. Algae can also cause your system to function less efficiently by clogging up your pool’s filter, and some types can even break down or stain the plaster of your pool if left untreated. More importantly, algae feeds off the chlorine in your pool – and the chlorine is there to kill other harmful bacteria and contaminants. When bacteria is allowed to remain in a pool, it can lead to a number of health issues, collectively known as “recreational waterborne illnesses.” While not every recreational waterborne illness can be avoided, the risk of these health concerns can be minimized by proper pool care. Symptoms of a respiratory infection can include congestion, cough, runny nose, sore throat, or fever. Symptoms of a dermal infection can include rashes, redness or irritation of the skin. Some types of digestive issues due to bacteria in a pool include E. coli, Rotavirus, Salmonella, and Shigella. Symptoms include nuasea, diarrhea, and vomiting. The best way to eliminate algae from your pool is through proper pool maintenance. Preventative measures of standard pool care are best, but if you already have an algae bloom, you might need to shock your pool – adding a large amount of chlorine to the pool at once. You will also need to scrub the walls and floor of your pool to loosen any algae that is adhered to them. Finally, bring the pH balance of your pool to within acceptable levels. Once the problem has been addressed, vacuum the pool and run the filter to remove dead algae, and resume maintaining your pool as usual.